Our staff is a close-knit group of highly trained medical assistants, aestheticians, and physician assistants that are dedicated to ensuring your visit to our office is pleasant and enjoyable while experiencing the very best in dermatologic care. We aspire and train our team to achieve the highest level of service, similar to The Ritz Carlton and Disney. Our level of cleanliness and attention to detail is unsurpassed. We value and honor your business, which is why our goal is to WOW you with our personable and friendly service. Our directors of first impression and our medical assistants will help navigate you throughout your visit, and assist in all areas from insurance verifications to prescription authorizations. Our team is here to ensure a smooth visit while Dr. Ricardo Mejia and our licensed physician assistants Alli Rayner and Ashley Syler deliver the best care. 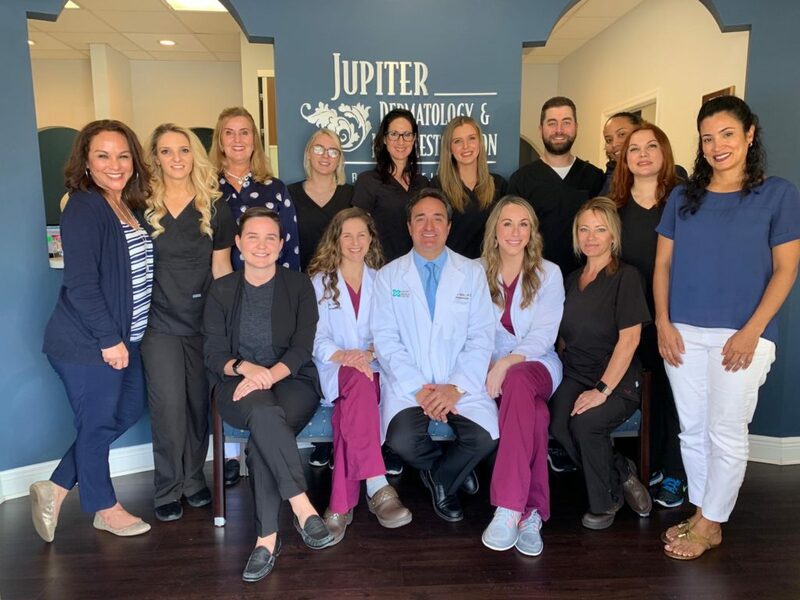 It is no wonder why patients travel from all areas to visit Jupiter Dermatology.